Absolute Interiors are an Altro Premier Installer with over 40 years experience in the construction industry. We provide the complete Altro Package, including Internal Hygienic Wall Cladding, Fortis Titanium Wall Protection, Digi-Clad, Stainless Steel, P250 Ceiling Systems, Door Sets and Safety Flooring. Absolute Interiors pride our selves on providing competitive prices and a first class service. Our experienced team of Altro trained installers and office staff provide the technical know how and problem solving skills to ensure projects are completed to specification on time and on budget. Our reputation for providing quality installations and our commitment to meet our client’s need has helped us secure projects for the leading building contractors in the industry. As an Altro Premier installer our installations are backed by Altro’s 20 year guarantee giving our clients peace of mind. Absolute interiors cover a comprehensive range of commercial industries from new build, refurbishment, retail, industrial, health care and pharmaceutical both nationally and internationally. 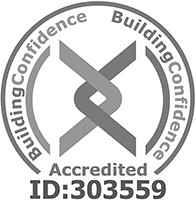 We are accredited to all the major construction health and safety schemes for example Chas, iso9001, Construction Line, FORS and CSCS. Altro are market leaders in premium flooring and wall cladding systems. Their Safety, Rubber, Smooth and Resin Flooring Systems offer the complete range depending on the requirements of the end user. All of the flooring systems are Versatile, Resilient, and Decorative and meet international safety and hygiene standards. Altro invented and have been pioneers in the evolution of Hygienic wall Cladding Systems. Designed for areas where hygiene and durability are paramount, Altro Whiterock is the only wall cladding system to include the integral biocide “ALTROSAN” which is highly resistant to chemicals, is impervious and can be wiped down or pressure washed for easy cleaning. Altro Whiterock is highly durable and is also available in many decorative finishes through its Satins, illusions, Chameleon and Digi-cald ranges where aesthetics are important. Altro also offer Altro Fortis Titanium wall protection which was designed to protect surfaces in busy public areas and also comes in a range of colours. Altro have all your needs covered and each of their systems are compatible and designed to give you the perfect installation.